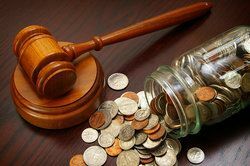 Damages - or the amount of money awarded to compensate an injured party for his or her losses and expenses in a court of law - can be divided into two basic types: compensatory and punitive. Of the two, compensatory damages are by far the most commonly awarded, as they are the inevitable outcome of any civil case that resolves in favor of the plaintiff. By comparison, punitive damages are extremely rare, and generally should not be expected in most personal injury cases. During case evaluations at the Law Office of Gary A. Zucker & Associates, P.C. in Brooklyn, punitive damages are explained and discussed; however, our personal injury attorneys are careful to advise clients not to count on such damages being awarded, even if they are sought as part of the claim. While some of these damages are quite specific (“special damages” such as medical bills) and others are more abstract (“general damages” such as pain and suffering), they share the same purpose: to return the injured plaintiff to as close to his or her pre-injury economic state as possible, while also compensating him or her for non-economic consequences such as physical, emotional, and mental suffering. On the other hand, punitive damages - as the name suggests - are awarded by the courts primarily to punish the defendant for an act of egregious negligence or deliberate malice. A secondary purpose of punitive damages is to discourage further acts of extreme negligence or malice in similar circumstances. It may be helpful to think of punitive damages as the civil equivalent of a criminal fine. For example, in a medical malpractice case in which a surgeon performed the wrong surgery on a patient, and the patient suffered permanent injury as a result, the egregiousness of his incompetence may seem apparent. However, if this malpractice resulted from an unintentional mix-up of files, it is unlikely that the defendant would be awarded punitive damages. If, on the other hand, the surgeon knowingly took an illegal recreational drug just prior to the surgery, and he understood the risks of doing so, there may be sufficient evidence of intentional and immoral wrongdoing to justify punitive damages. To learn more about punitive damages, or to arrange for an evaluation of your personal injury case, please contact the Law Office of Gary A. Zucker & Associates, P.C., today.